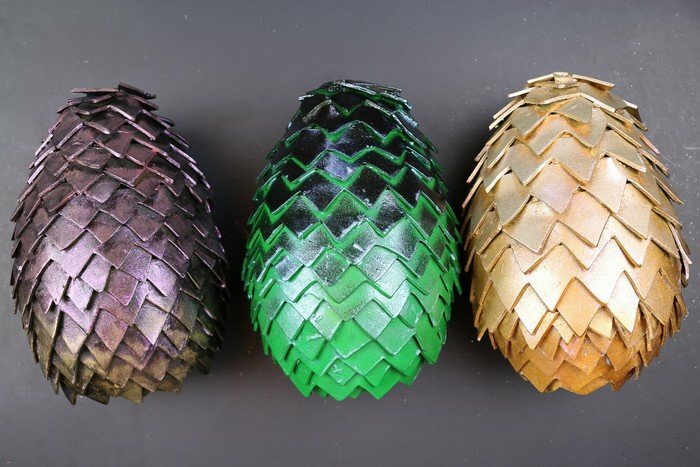 Daenerys’ dragon eggs are probably the most iconic prop from the Game of Thrones series. 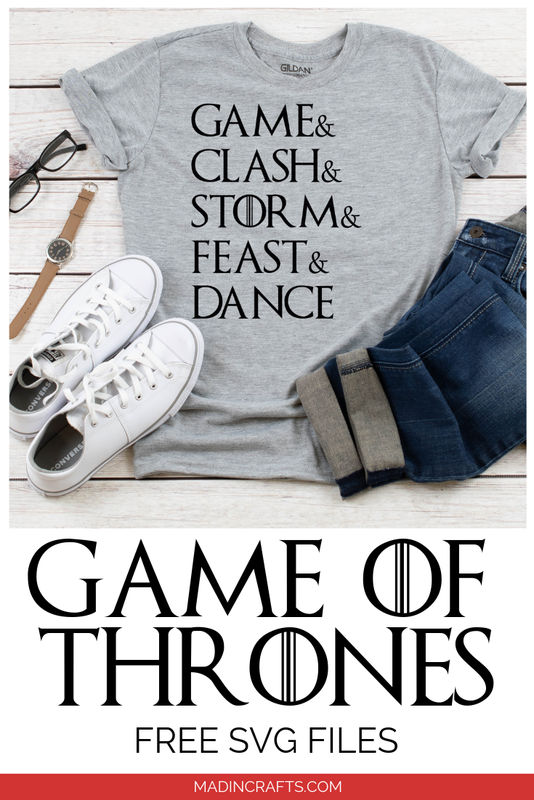 Even though they only appear in the first season, they are a major part of the GoT storyline. 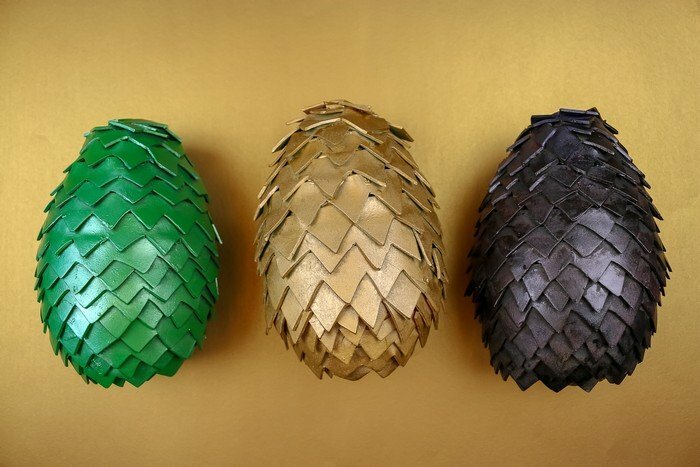 If you are throwing a party to watch the finale of the show, decorate with a set of your very own dragon eggs. 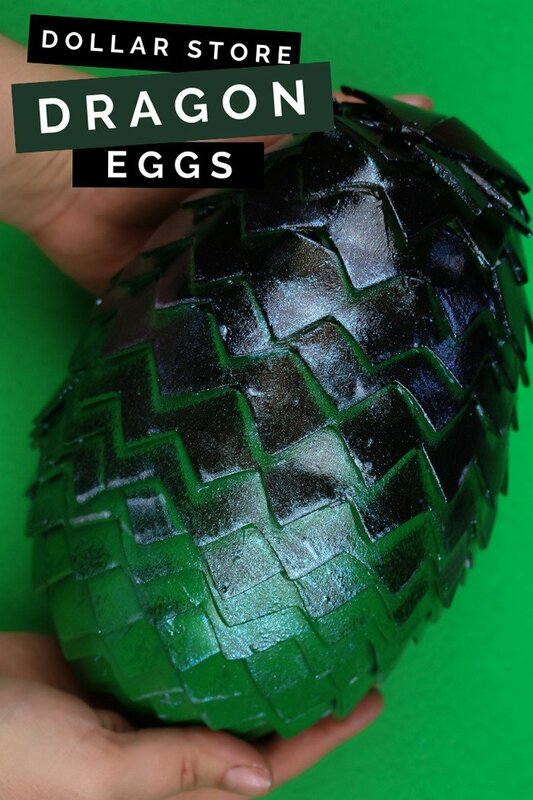 Head to the dollar store to pick up supplies to make your own cheap DIY dragon eggs for your Game of Thrones viewing party! 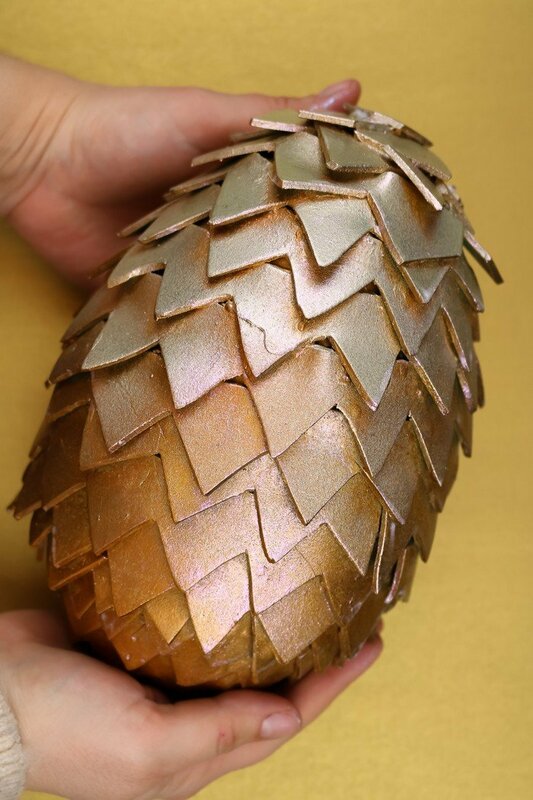 What Do You Need to Make DIY Dragons Eggs? 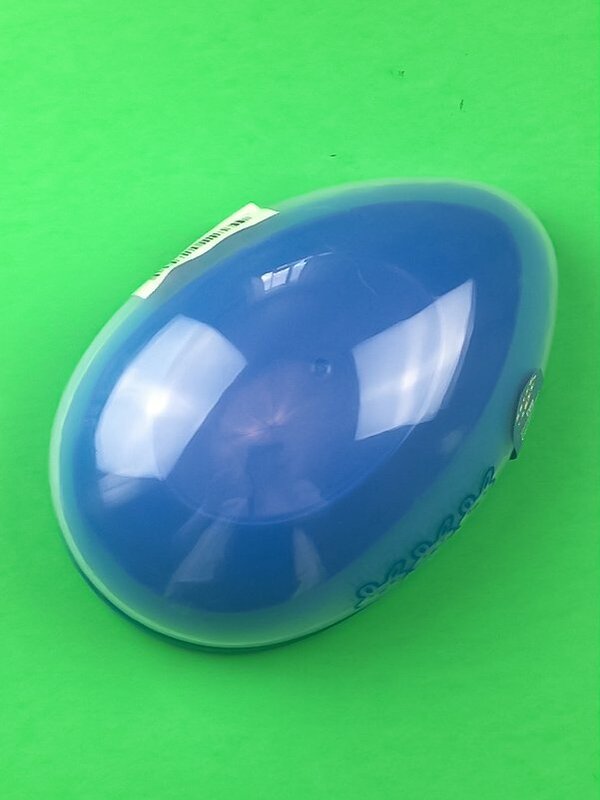 The base of my DIY dragon eggs are these extra large plastic eggs from the dollar store. If you are attempting this tutorial after the Easter items have been removed from the dollar store, you can find them online as well. They will just be a little more expensive. 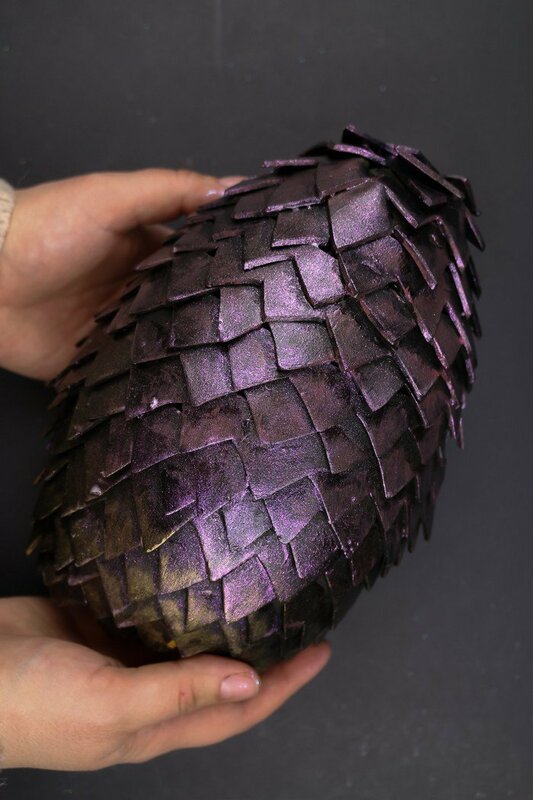 The scales of the dragon eggs are made with craft foam, which you can find in the art supply section of the dollar store. Craft foam is cheap, easy to cut, and lightweight, so it is perfect for this project! 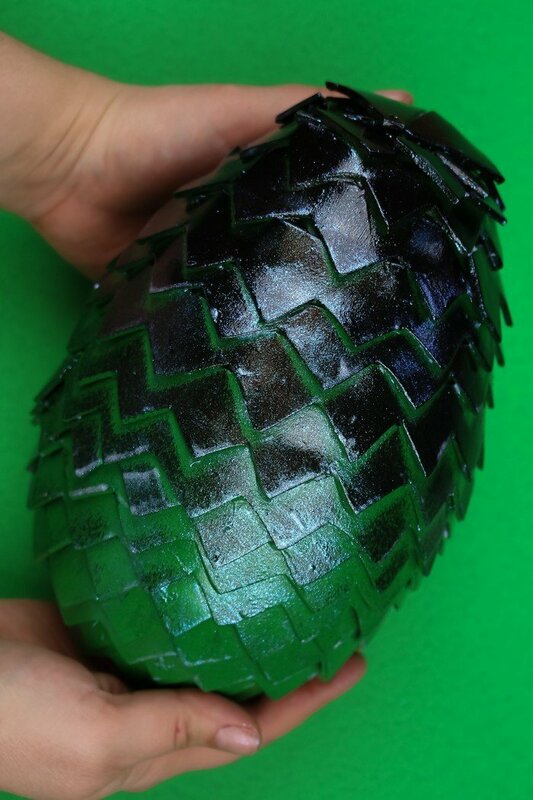 How Do You Make Dragons Eggs with Dollar Store Supplies? In this video, I walk you through the whole process of turning dollar store plastic eggs into your very own dragon eggs! I publish two crafty videos like this on my YouTube channel each week. Subscribe for free so you don’t miss any of the fun tutorials! The easiest way to give the eggs a base coat of color is to use spray paint. Just be sure to spray from multiple angles. It’s easy to miss spots under the craft foam scales if you don’t. I created an ombre effect on the green and gold eggs by setting the eggs up on one end and spraying the second color of spray paint directly down over the top of the egg. This is the same technique that I used to create these ombre Christmas ornaments. I created the burnished look on the black egg by brushing the gold and maroon paint in upward strokes starting at the bottom of the egg. This technique deposits paint on the edges of the egg scales while leaving the top of the scales dark. As a final (and optional) step, I gave all three eggs a coat of FolkArt’s new Dragonfly Glaze. This amazing new top coat gives your projects a shimmering finish that shifts colors as light hits it from different angles. While this step isn’t necessary, I think it added a magical touch to these DIY dragon eggs. These eggs could be used for cosplay, Halloween costumes, props for stage productions, or party decor. I made mine specifically for a Game of Thrones viewing party, so I tried to paint the eggs to match the descriptions of the eggs in the Game of Thrones books. I hope they will make an eye-catching centerpiece at the party!